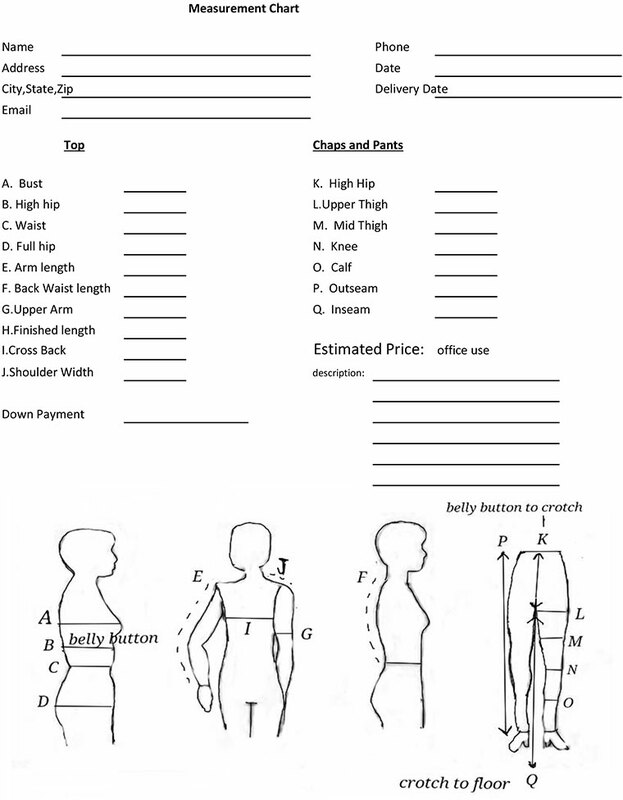 Please take all measurements wearing the undergarments, a tank top or similar shirt and the pants and boots that you will be showing in. Send us exact measurements. We will add all allowances in. A 50% deposit is due when your order is made. The balance is due before shipping or pick up. We strive to give you a unique look. If you want to design your own outfit, just collect images or draw the designs you like. We will do our best to create your one of a kind look. Save and print measurements, scan, email or mail back to us.